You are walking along Smetana Embankment and suddenly you see a strange building looking like an arrow. You come closer and find out that you are standing at a fountain. 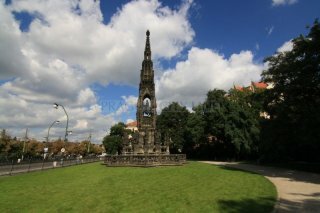 It is Kranner´s Fountain. 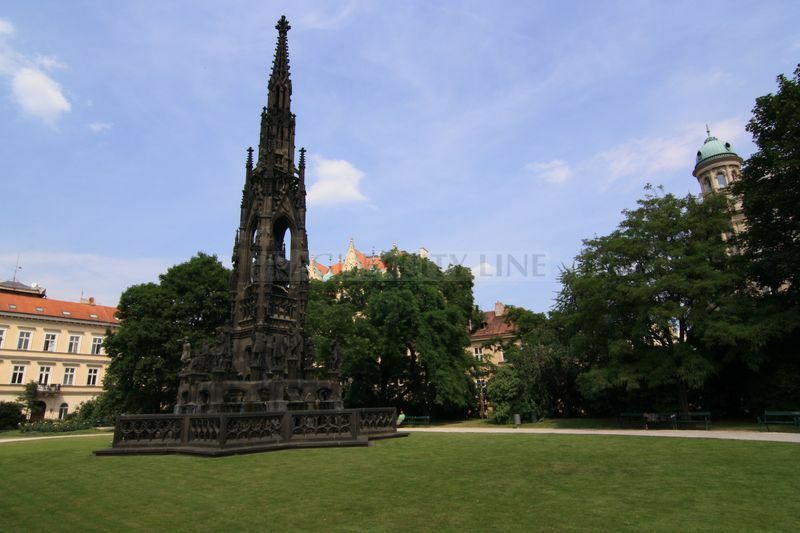 Let´s discover more about this unusual and due to its appearance exceptional building. First of all we need to inform you that the interesting object is to be found at the embankment. Smetana´s Embankment used to be once lined by fences with timber and humble huts where fishnets were dried. 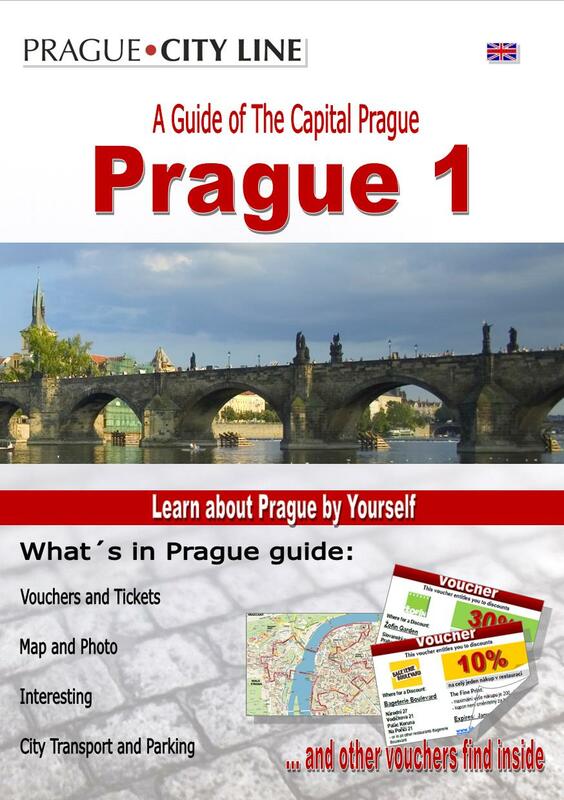 In relation to the construction of the Prague´s second bridge in 1841 (chain bridge located where there is Most Legií (Bridge of Legion) today it was decided to build simoultaneously also the first stone embankment in Prague. From the place where for many centuries especially the filthy and smelly crafts were placed the city let according to the design of Vojtěch Lanna build a first-rate stone embankment which was projected as a sightseeing esplanade. In brief, the councillors wanted to turn the smelly district into an exemplary place. Does it also remind you of the current cultivation of the various peripheral urban neglected parts and their consecutive transformation into shopping centers? However, back to the embankment. The new open space at the embankment was planned to be the right place for a raising a memorial and a fountain commemorating the Habsburg supremacy. 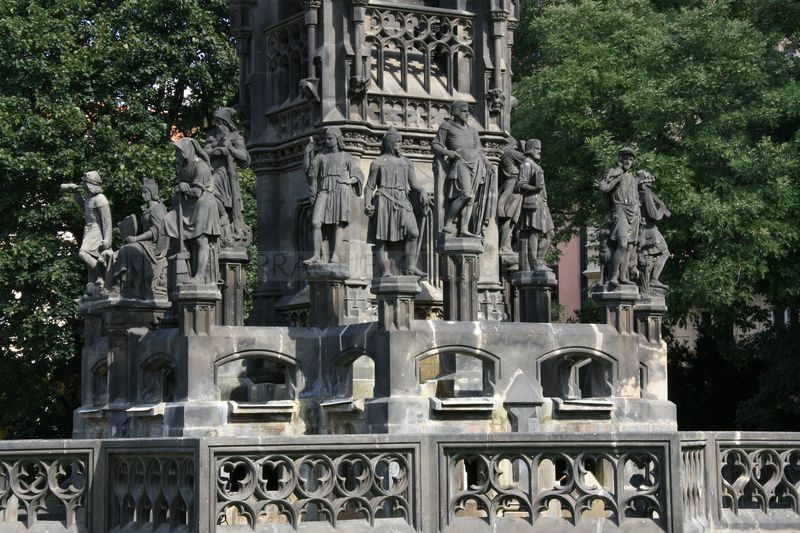 The contract for a memorial inspired by a similar 14th century work from Nürnberg was signed by the architect Josef Ondřej Kranner and the sculptor Josef Max. The foundation stone was ceremoniously layed in 1845, however the construction of the memorial was affected by the revolutionary year of 1848 so the final erection of the bronze equestrian statue of Emperor Franz Joseph I. was performed very quitly and discreetly in 1850. 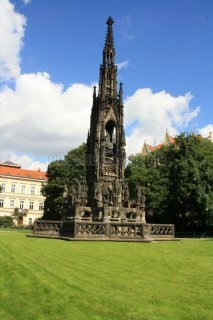 Due to the changed political situation even the change of the statue was discussed which would be placed into a Gothic stela. 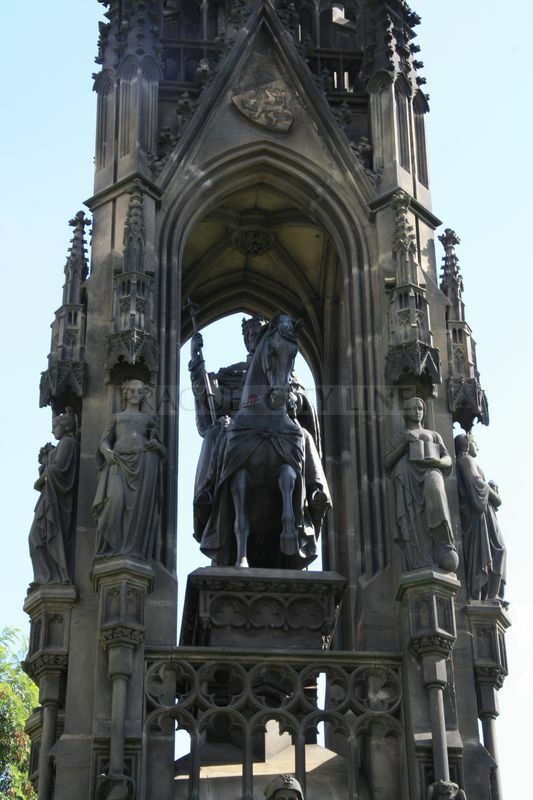 So the statue became eyesore to the residents and therefore Emperor Franz Joseph I. on the horse was after the declaration of the independent Czechoslovakia in 1919 removed from the fountain. The newspaper was full of it, too. The removed original of the statue of Emperor Franz Joseph I. has been kept in the lapidary of the National Museum until today. 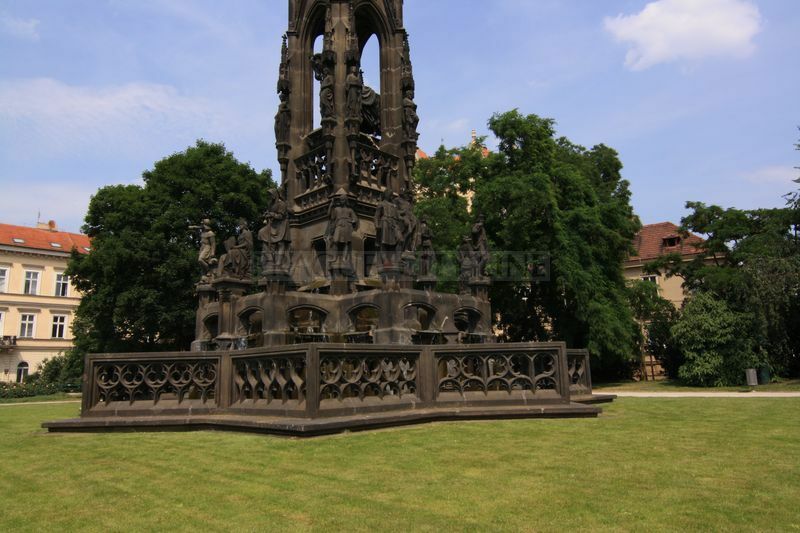 After the reconstruction of the fountain in 2003 the replica of the equestrian statue of Emperor Franz Joseph I. was placed into the memorial´s stela again. Also the difficult water inflow has been repaired and the fountain became functional again. 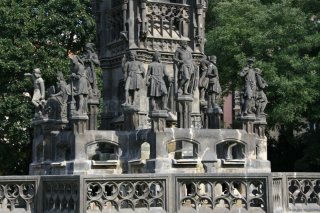 The fountain which was created by Kranner with help of the mason Karel Svoboda has a shape of a polygonal tank with sixteen figures of the Czech regions standing on its pillars. 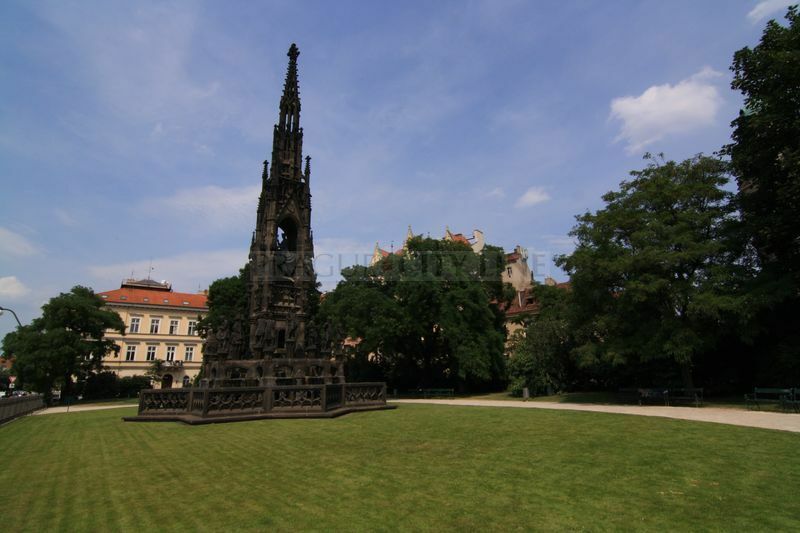 There is the seventeenth allegorical figure of the city of Prague facing the river in their forefront. Higher there are allegorical statues demonstrating the activities leading to prosperity of the land. 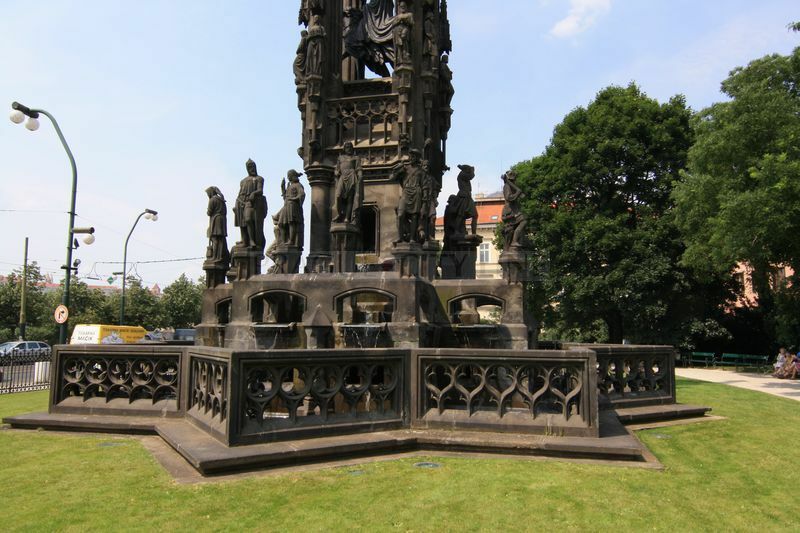 The water inflow of the fountain was the common work of Kranner, the architect of the embankment Vojtěch Lanna and engineer Romuald Božek. The shaft below the lower part of the memorial with the water pumping appliance is connected with the underground corridor leading into Divadelní street. 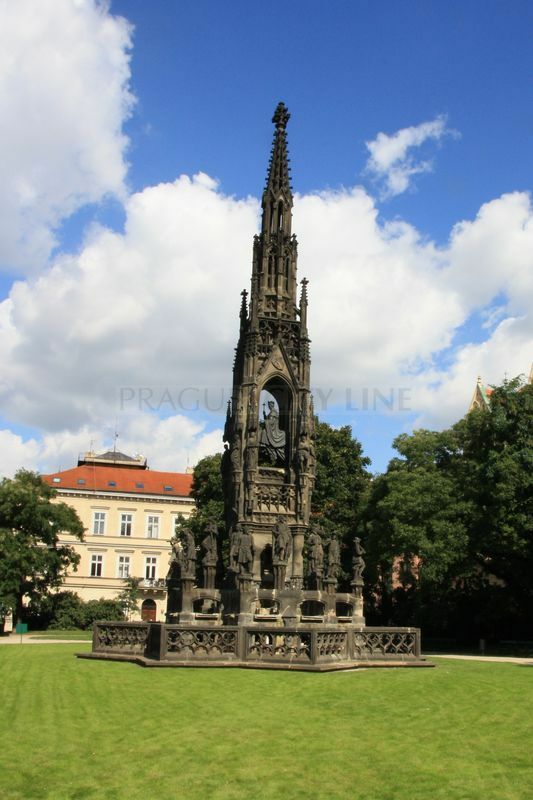 Kranner´s Fountain (sometimes also called Tribute of Czech Estates) is thus after long years complete and functional again and moreover it is surrounded by a treated park where you can also sit for a while. Kranner ś Fountain (Krannerova kašna) 50.082976, 14.413483 Kranner ś Fountain (Krannerova kašna) You are walking along Smetana Embankment and suddenly you see a strange building looking like an arrow. You come closer and find out that you are standing at a fountain. 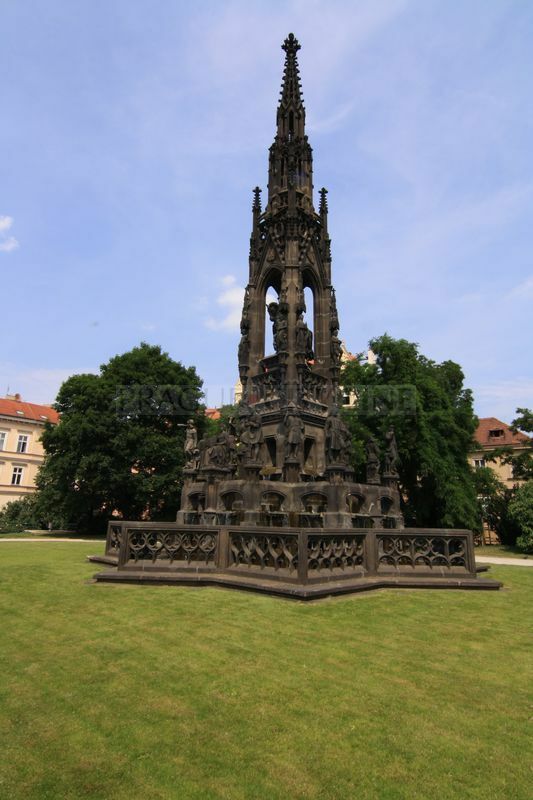 It is Kranner´s Fountain. Let´s discover more about this unusual and due to its appearance exceptional building.